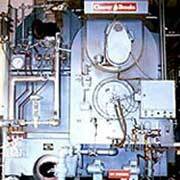 We offer a large gamut of safe and authentic boiler water chemicals. We are widely well reckoned as one of the supreme Water Treatment Chemicals Exporters from India. Our Boiler Water Chemicals are manufactured from the reliable raw materials under the guidance of experts. These Boiler Water Chemicals for Water Treatment For Boiler are used in various industries due to excellent performance and longevity.